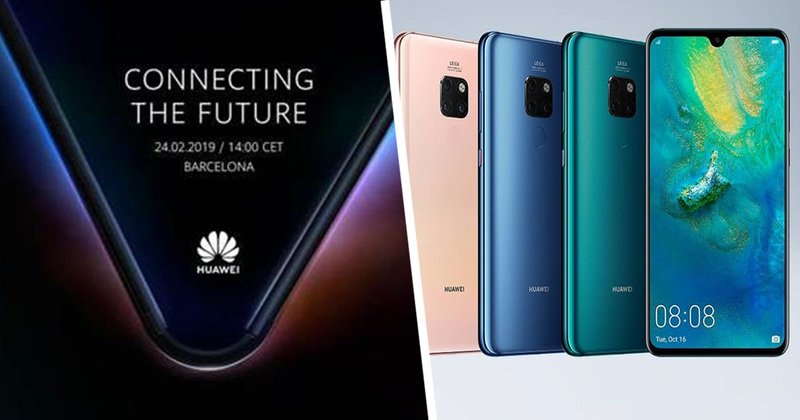 Huawei have sent out its official press invites for their 2019 Mobile World Conference invite with a side profile of a foldable device. Little information has been revealed about the unnamed phone set to be announced on February 24. It’s expected to pack the Balong 500 chip for 5G, and that’s about as much as we know so far. The Chinese smartphone manufacturer’s CEO confirmed at the end of the firm’s pre-MWC 2019 briefing in Beijing, China, we would seeing a smartphone with a foldable screen this year, TechRadar reports. We look forward to seeing you in Barcelona in Feb, where we will launch the world’s first 5G smartphone with foldable screen. The image shared in Huawei’s tweet suggests the screen might be on the outside of the device. This is in complete contrast to the Motorola Razr and Samsung’s folding screen that will fold inwards. Huawei has previously trademarked a number of model names that could fit the smartphone they’re expected to release. These include the Mate Flex, the Mate Flexi, the Mate Fold and the Mate F.
Just like all folding smartphones expected to be released this year, it’s unclear whether folding phones will sell well or they’re just a futuristic concept that’s been rushed. Whatever smartphones are to be released at this month’s Mobile World Conference, we can’t wait to see all of the drama unfold. Previous story Where's The Coolest Place You've Taken Your Family On Vacation? Which West African City Should You Visit Based On Your Food Choices?